For the base you can choose your own poison. I chose chocolate ripple biscuits because they are our favourite. You can choose your own sweet biscuit of choice, or less sweet if you prefer. Blend in some nuts as well if you’re in the mood for it. 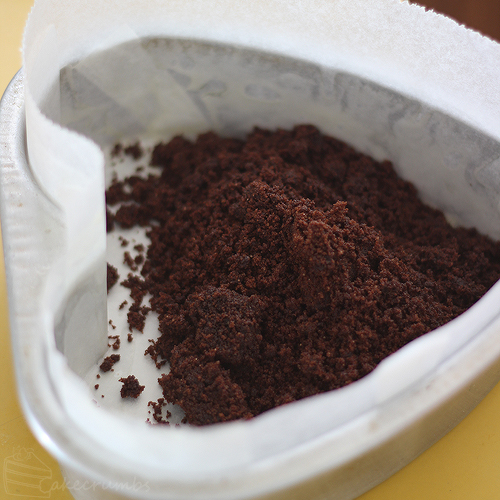 The crumbs are combined with butter and pressed firmly into a lined tin. 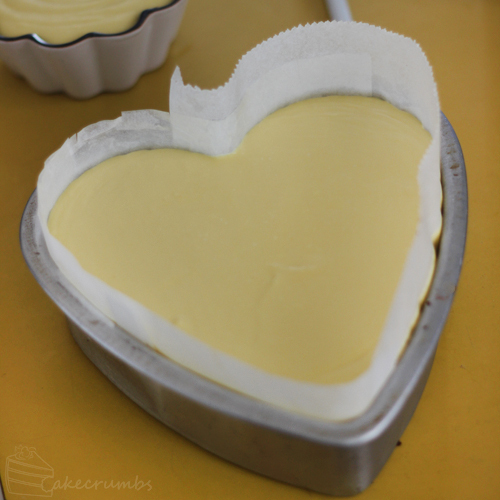 I was using a heart shaped tin so I only lined it with paper rather than my usual acetate. For the filling you’ll dice up a couple of mangoes and beat it into some cream cheese and sugar. Once that’s done you can beat in the cream and gelatine. This recipe makes enough for a fairly sizeable cheesecake. I had a little too much for this tin so I poured the excess mixture into a ramekin with a little biscuit base, too. It’ll need at least 6 hours, but it’s best to let it set overnight to be safe. Right before you’re ready to serve you’ll need to get the mangoes prepared for making the roses. Peel and slice the cheeks off of a couple of mangoes, then slice those cheeks thinly. 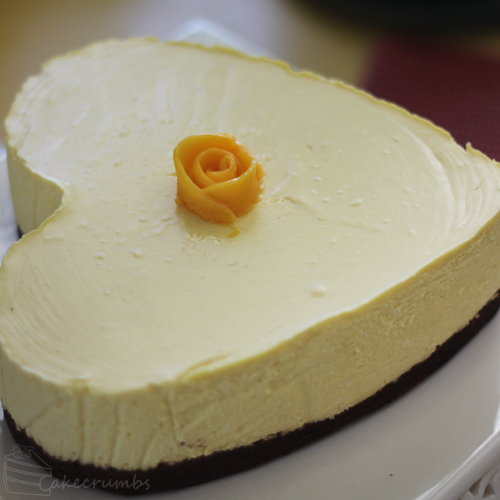 Once the cheesecake is unmoulded it’s time to make the roses! It’s much easier than it looks. Start with the smallest slice of mango and roll it into a tight coil, then place it onto the surface. You’ll then use the rest of the slices to make the other petals. 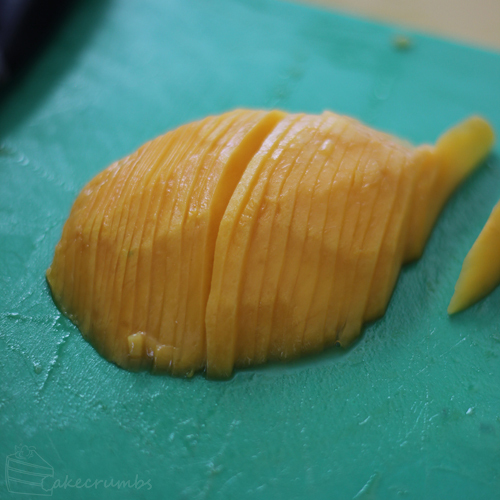 Begin by wrapping the smallest slices around the central ‘bud’ and keep going until you’ve used up all your mango. You can make one giant rose, or lots of little ones if you prefer. I went for the middle ground and did 4 medium roses. The slices don’t need anything to hold them together and don’t need much encouragement to curl into place. 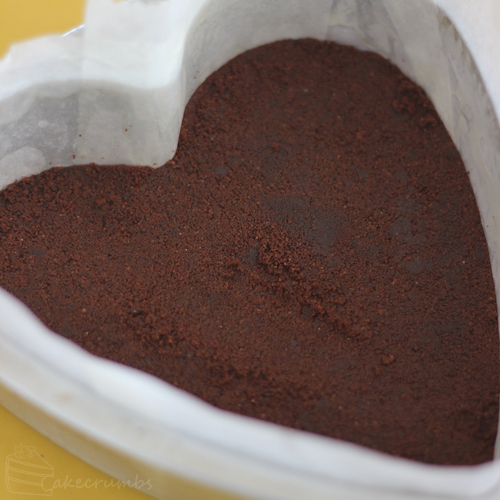 It’s such a simple way to bring a bit of life to an ordinary cake. The cheesecake itself, however, tastes anything but ordinary. Choosing really ripe and in season mangoes absolutely make this cake, but the flavour only just eclipses the wonderful texture of this cake. When it came time to cut this baby I was too full from dinner to try it. I suddenly found a second stomach when Cam told me it tasted like mousse. I’d been worried it had set too hard, but I needn’t have. The texture is perfect and will totally make you want to dig into another slice. Cheesecake isn’t even one of my favourite desserts (much to Cam’s horror), but even I can’t get enough of this one. 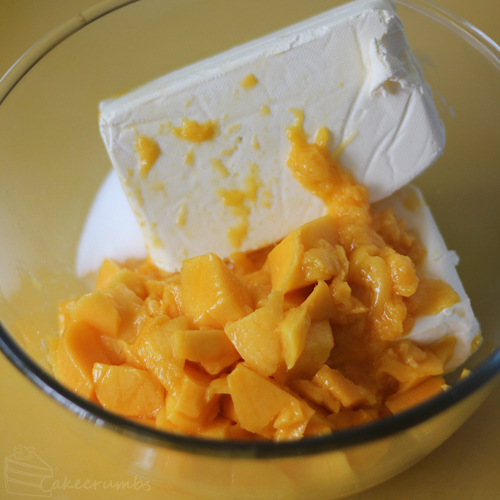 For the filling, beat the cream cheese, mango and sugar in a bowl until smooth and well combined. 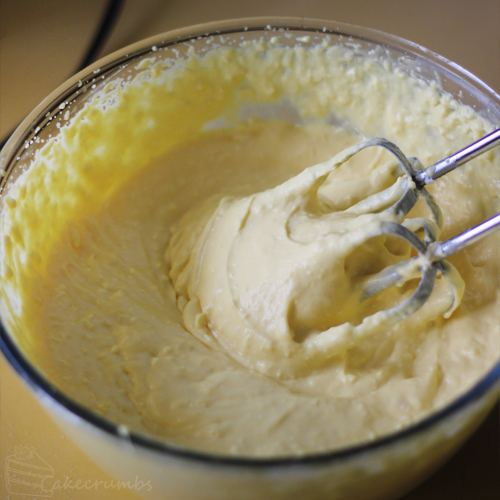 Beat the gelatine into the cream cheese mixture. Pour into prepared tin; allow to chill in the fridge for 6 hours or overnight. 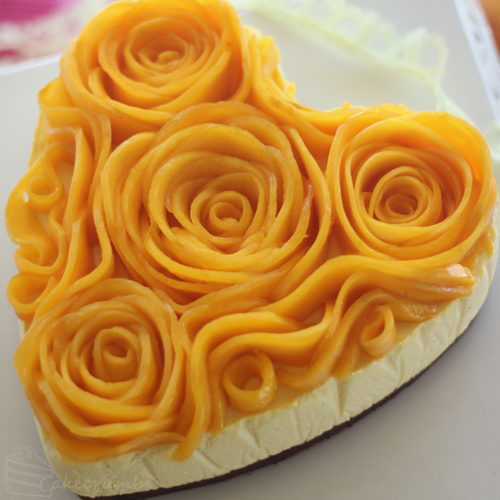 Just before serving, prepare the mangoes and arrange into rose shapes as described above. 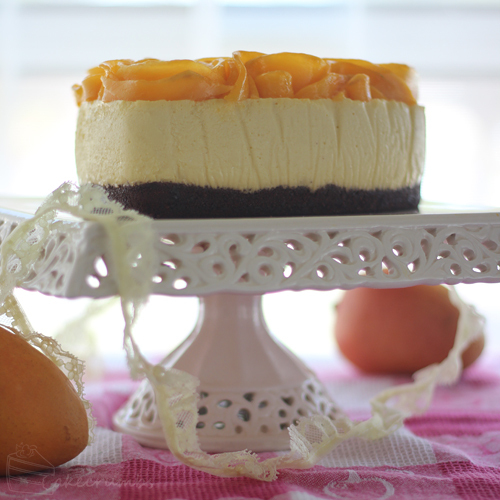 Just saw your post, what a great way to dress up a cheesecake, I love NY style cheesecake and have made it many times . 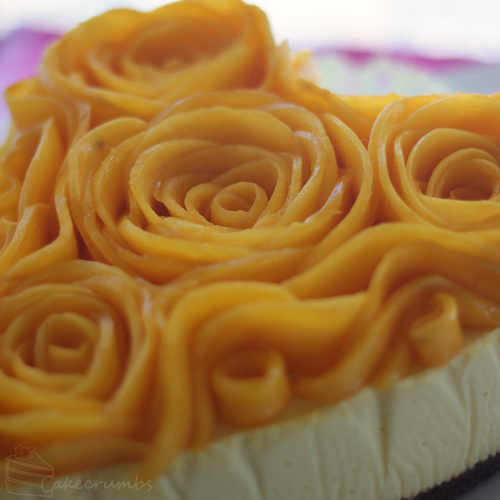 Have to try it with the mango roses, thanks for the mango roses! Absolutely my pleasure! Thank you for stopping by. WELCOME back! You have been missed……..like you I can easily binge on mangoes. 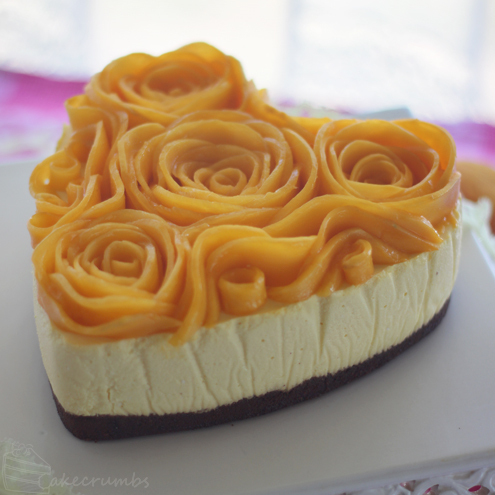 I must try this out, although I doubt my mango roses will look anything like yours. You are always the sweetest. ♥ I’m sure yours will look amazing. The only trick is slicing the mangoes as thin as you can manage. I have missed Rhiannon’s postings for a couple of months , so I’m happy to see her post this morning. As regular readers of KenMaursCorner know I love sharing photos of her fantastic cakes! 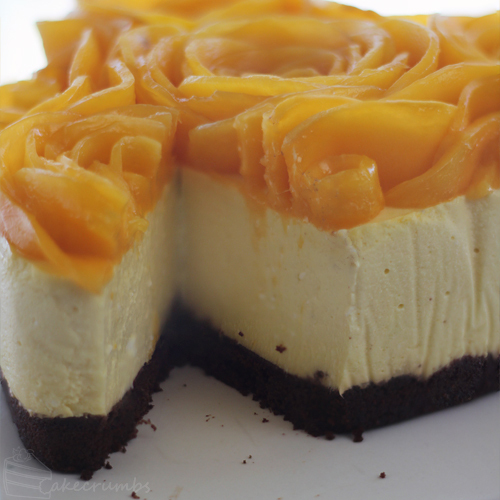 Yesterday I bought a big bag of Calypso Mangoes, and I think they will be perfect for this recipe. I’m totally green with envy and drooling right now! mangoes are my favourite fruit and here just one costs about £1.50 and no guarantee it will be good! They are usually very expensive here as well. I only buy them as a special treat, so to be able to gorge on them is fantastic. Sadly, though, the prices are only so low because farmer have been forced to dump them by the thousands. Another yummy cheesecake. And unlike a lot of cheesecake, I didn’t feel guilty eating heaps of this one. 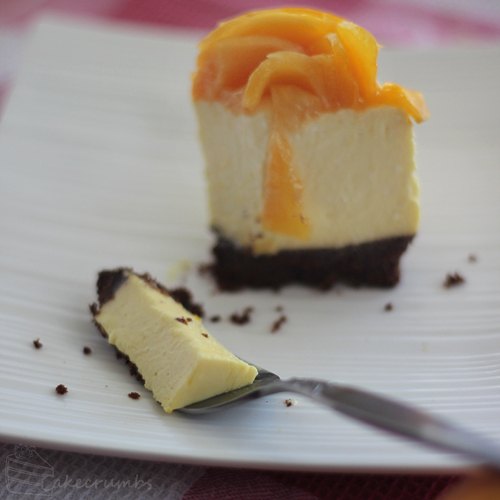 The mango flavour was very obvious and made you forget you were eating a cheesecake, and not just a pile of mangoes. Made this in circular tin (no heart-shaped here), only tinned mango available in the bush for filling but included pulp (not seeds) of 4 big passionfruit. Added roasted hazelnuts to chocolate ripple bics for base. Got mangoes for the roses in Sydney. A great success. Many, many thanks.